Traveling Tech Guy Blog: Who Needs CAPS Lock? 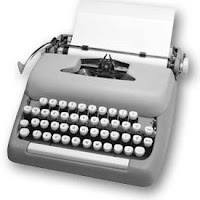 Once, when people were using mechanical typewriters (ask your mom if you don't know what I'm talking about). The Caps Lock key would mechanically elevate the row of little hammers, in charge of printing capital characters. When the modern keyboard was designed, the Caps lock was carried over. What do I have against this "innocent" key? No one needs to print in all-caps anymore. On the internet it's even considered rude. The shift key is fine for the single cap we need in a sentence. It's right below the tab key and above the shift, meaning you can hit it by mistake. If you're typing in a different language, typing the Caps lock in Windows reverts you to English (or the original installation language). Luckily, this can be hacked. Here's a link to a zip file containing 2 registry files. The first will eliminate the Caps lock - just double-click it, accept and restart your machine. When you return, the Caps lock will not function anymore. Had a change of heart? Double-click the second reg file and restart (or restore to an earlier Restore Point). hi guy, i sure am enjoying your articles. i found out about it from a mutual friend. This is one of the better tips I ever got. Had it working on my laptop for months now, and indeed it's much better. Which brigs to mind a request: Over the years, one fix and configures his computer in special ways, like this caps-lock thing, or like Twicking "Folder Preferences" in the win Explorer, or fixing the Office tollbars, etc. And then comes a new laptop, and you need to do it all over again. It's a real argument against upgrading your working tool. No easy answer for this Shlomo. What I personally do is keep those reg and script files in a certain directory and apply them immediately upon receiving a new laptop. For my last laptop change (about 5 months ago), I actually did a transplant: I kept the old HD and put it in the new laptop. After several driver adjustments - Windows picked up just fine. Another method would be to "ghost" your Os and apply to the new machine. But ultimately, registry changes are better when applied manually. MAINFRAME ASSEMBLER PROGRAMS ARE STILL WRITTEN IN UPPER CASE. But surely , if your caps lock is out of order , its an excuse for not writing one.